An offshore helicopter was forced to make an emergency landing after the pilot became concerned over cockpit readings. 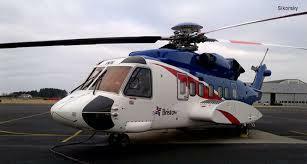 Bristow Helicopters confirmed that a Sikorsky S-92 returned to its operating base at Aberdeen Airport as a precautionary measure. Three crew had been on board for a routine training exercise. No oil rig workers or commercial passengers were involved, a spokeswoman confirmed. The helicopter safely landed at Aberdeen Airport at 2.40pm. Emergency services were in place as it descended to Dyce. “The helicopter had three crew on board. “It landed safely at the airport at approximately 14:40 hrs. The landing was uneventful and emergency services at the airport were mobilised as a matter of procedure.